Blog AglaSem.com Featured As The Big Player in StartUp360 Magazine! AglaSem.com Featured As The Big Player in StartUp360 Magazine! 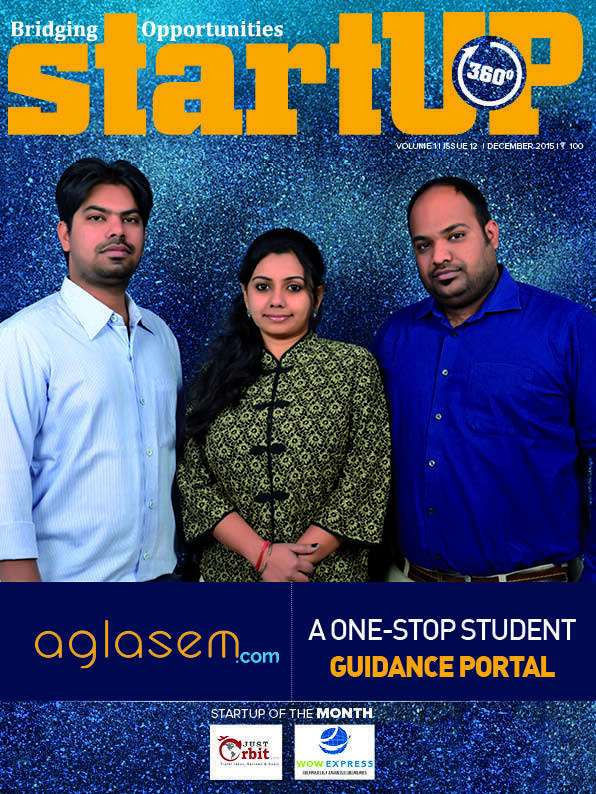 The December 2015 issue of StartUp360 Magazine features AglaSem.com as a key player in education. We are so happy with this absolutely smashing coverage! A big THANK YOU goes out to the super awesome team working hard even on Christmas and New Year’s eve, our mega cool readers, the marvelous community members, and all the phenomenally sweet well-wishers. You can get the issue in print, or just get the app in App Store or Google Play. In case this is the first time you heard of AglaSem, here is a brief intro. AglaSem.com is a leading education guidance network and pioneer of massive online education communities. Here students of school, preparing for school exams, olympiads, talent search exams; students preparing for entrance exams for UG / PG level or looking for admissions; job seekers looking for opportunities and preparing for recruitment exams; get news, updates, preparation resources. Plus there is a one stop discussion forum to solve your queries related to exams, admissions, recruitment and everything to help you in your student life and career. Wishing you all an absolutely rad new year. Here is to a great team, a great community! KVPY 2018 Result – Released!